Become a star at MADAME TUSSAUDS with over 85,000 square feet of interactive entertainment in the heart of Times Square. This sponsored post about visiting Madame Tussauds is brought to you as part of the US Family Guide, my family and I will be receiving complimentary tickets for a visit. My Best of Both Worlds can speak from experience that Madame Tussauds is a fun-filled day for sure and a great way to celebrate the arrival of Spring in New York City. 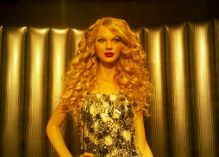 There are millions of things to see and do in New York City, but there is only one place where you can get up close with over 200 incredible wax figures of celebrities, historical icons, sports legends and more. From Marilyn Monroe to Barack Obama to Lady Gaga to Carmelo Anthony, there is a star for everyone! 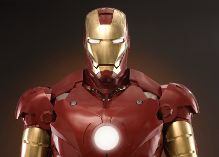 Don’t miss the thrilling Marvel Super Heroes 4D theater featuring Marvel’s legendary Super Heroes. My daughter’s class trip a few years ago was to Madame Tussauds and I was one of the class Moms that got to attend. We had a great time, seeing all of our favorite movie stars and of course posing for silly pictures with them. I know my son will really enjoy visiting as the Marvel Super Heroes are now on display too. We are big fans! I’m looking forward to visiting and providing a review as well as showing off all the fun pictures we take. And just for my readers- here’s a coupon discount code! Save 15% Off Admission to Madame Tussauds in New York! – Valid for up to 8 people. Visit nycwax.com for more information. Disclaimer: My Best of Both Worlds received no financial compensation in exchange for this post. My Best of Both Worlds will receive a complimentary family four pack to Madame Tussauds for a fun-filled day. All assests / photos were supplied by the US Family Guide a network of bloggers. My opinions are true and my own and may differ from yours. ← The Little Rascals Family Movie Night Giveaway! I remember going to one of these many years ago. It was really neat! Kids love it. Believe it or not, I’ve never been to Madame Tussauds. Even my kids have been and really enjoyed it. Hopefully I’ll visit with my family one day soon. This is one of those attraction I mean to see but never quite get there. Adding it to my list now for the next time I am in New York. I have seen this in Las Vegas, looks like a fun place to go and be entertained! Sounds fun! I have never heard of this, but I do live in Kansas, hahaha so middle of nowhere! I’ve seen pictures of friends and family members who have been to wax museums and taking photos and its crazy how realistic they are! I’d love to check otu madame tussauds sometime. I’ve been to a wax museum before, but it wasn’t Madame Tussauds. Madame Tussauds has a great reputation! I’d love to go sometime. We went for the first time while in Vegas. It was definitely a fun visit! Love seeing everything at Madame Tussauds! How fun. I’ve been to the one in Hollywood and it’s always a good time. I had no idea there was one in NYC, nice!